BRIDGETOWN, Barbados, Mar 7, CMC – Finance Minister Chris Sinckler said Wednesday that some policy holders of the financially troubled Colonial Life Insurance Company (CLICO) have started receiving receive payments on some of the instruments they had with the insurance company. “We are elated that finally payments are being made, [so] we are coming good with our promise to make our policyholders whole again. It has been a long wait and much suffering,” Sinckler said as he toured Resolution Life Assurance Company Limited, which is now manging the bankrupt insurance company. 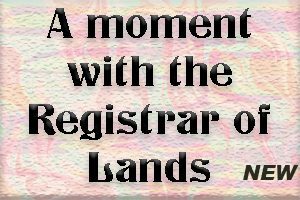 “We do apologise for the length of time that it has taken but some of those matters were beyond our immediate control, as CLICO International Life was under judicial management, supervised by the court and we had to follow those processes to the stage where we are at now,” he noted. Sinckler said payments were being made from March 1. Resolution Life chief executive officer, Cheryl Senhouse, said that on average, the payment to the annuitants was about BDS$400,000 (One Barbados dollar=US$0.50 cents) per month and payments were made for January and February of 2018. “Thereafter, we will be ensuring that current payments to those policyholders remain on track and that the backlog of amounts that is owed to those persons is settled within the six-month timeframe that we originally would have outlined,” she said. Sicnkler stated that he was happy that Resolution Life, which deals with the portfolio instruments under CLICO; and New Life, which is an asset management company, had been established and were under excellent management. He said the Freundel Stuart government had played a critical role in ensuring that the companies had gotten to this stage and opined that it should be congratulated for stepping in and filling the breach. He noted that not many countries in the world would have attempted this type of exercise. “In fact, when companies fail internationally, in many of the countries that we admire, … the depositors or policyholders usually don’t get bailed out, they usually have to take the bad end of the stick. Barbados has a slightly different tradition. “We feel that Barbadians who…are encouraged to invest and save, should be given every opportunity to benefit from those investments and savings, and where any failures occur, even though they may not be caused by Government, Government still has a fiduciary responsibility to its citizens to ensure that some value which could potentially be lost is retained,” he added. 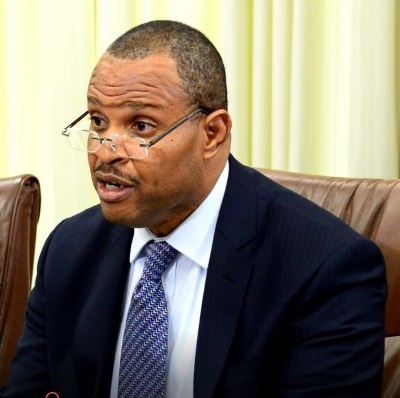 Sinckler gave the assurance that the substantial changes government made to the regulatory system would greatly assist and expressed the view that going forward, a situation similar to what occurred with CLICO would not be repeated. The Finance Minister also disclosed that the second phase of the restructuring would include the Organisation of Eastern Caribbean States. Last year, the Trinidad and Tobago government defended its decision to seek a court-appointed liquidator to deal with the assets of CL Financial company, the parent company of CLICO, saying it was seeking to ensure that taxpayers were not on the losing end of a TT$15 billion (US$2.23 billion) interest-free loan.